Sometime you just can't get enough of a good tune and want more. 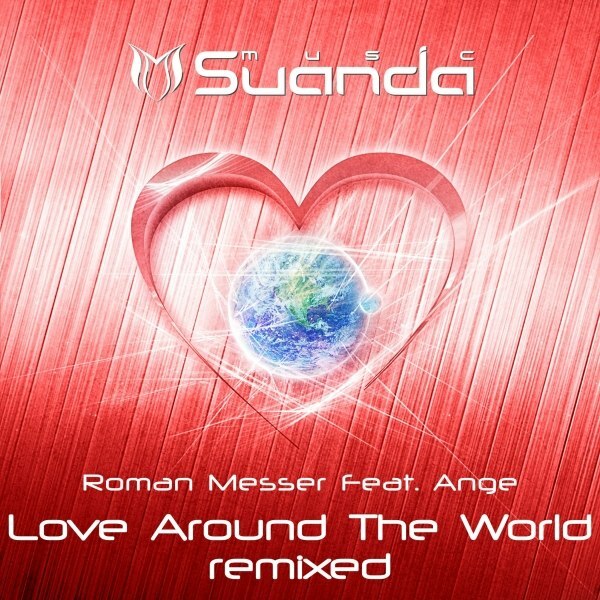 Suanda Music quenches the thirst for the label owner Roman Messer's track "Love Around The World" by providing two more versions of this vocal production in its 10th release, "Love Around The World Remixed". This time, it's Aimoon and Offshore Wind's turn to show what they're capable of. Aimoon, being the producer who barely needs an introduction, gives the track an energy boost by turning it into a peaktime, driving, yet still melodic production perfectly suitable for radio sets as well as dancefloors. By popular demand, Aimoon also provides a dub mix for those who prefer their music in instrumental form, and a radio edit perfect for home listening or commercial broadcasting. Offshore Wind's remix is exactly what you would expect from him - a techy combination of powerful beats, peculiar percussions and that special big room feeling. Fully striping the track of vocals, Offshore Wind lets his synths speak for themselves, leaving a long-lasting impression rivaling that of Ange's voice. This release is now available in all other stores, including Junodownload, Audiojelly, iTunes and more!